We are one of the leading suppliers, manufacturers, suppliers and traders of high quality Pique T Shirt. These T-shirts are made from 100% cotton that is sourced from reliable vendors. These T-shirts are designed by skilled tailors. These tailors have vast experience in designing high quality T-shirts as per the latest trends and fashion. These T-shirts have taped neck with three pop studded plackets. Contrast panel with stripes across shoulders and Hemmed sleeves are highly appreciated by our customers. "Resolve To Resources" is basically a partnership based business organization which emerged in India. We are manufacturer, supplier,trader & Exporter of Men's & Ladies Apparel such as Mens Shirts, Mens T-Shirts, Ladies Shirts, Ladies Tops and many more. We manufacture the garments according to the current fashion and trend. Our garments are beautiful, attractive, trendy and unique. These all garments are available in all colors. There is no issue of size because all garments are available in all sizes. There is a variety of stuff like cotton, silk, chiffon. 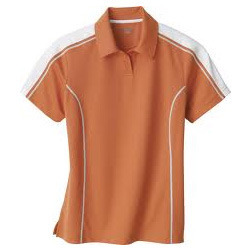 We have vast variety of garments which is easily suitable to all. The color combination's are fantastic. Resolve To Resources is doing a fabulous job under the guidance of our mentor Dr. Venkatesh Shanmugam. We achieved our goals and objectives with the help of him. He is a great and experienced businessman. He teaches us many things about business like how to make the clients happy and satisfied with our work. He has some business principles which we follow and perform passionately.